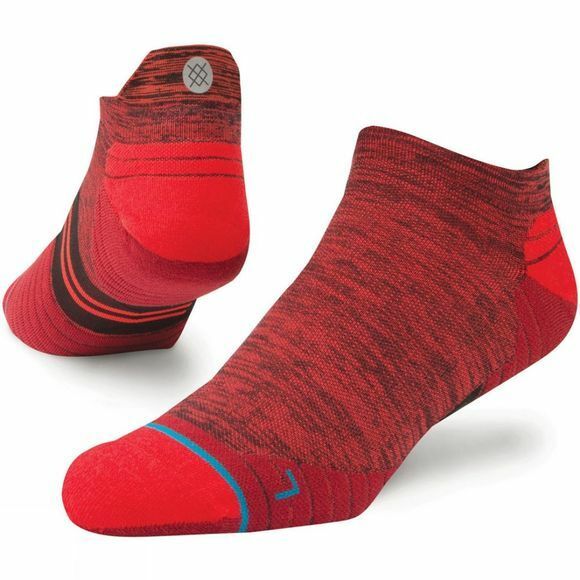 One of Stance's basics (but not so basic), the Uncommon Solids Tab sock uses an articulated foot bed for better padding and airflow to keep you comfortable as you run. Strategically placed mesh vents further enhance ventilation and a 200 needle count stitching pairs with a reinforced heel and toe for durability. The Uncommon Solids Tab features anatomically correct designs for both feet to keep you supported and comfortable.